Stir all ingredients except for the cocoa powder together in a medium bowl until combined. Allow the mixture to chill for about 30 minutes in the refrigerator. Once chilled, roll into small balls - I used a 1" cookie scoop to form mine, but you can make yours whatever size you like. 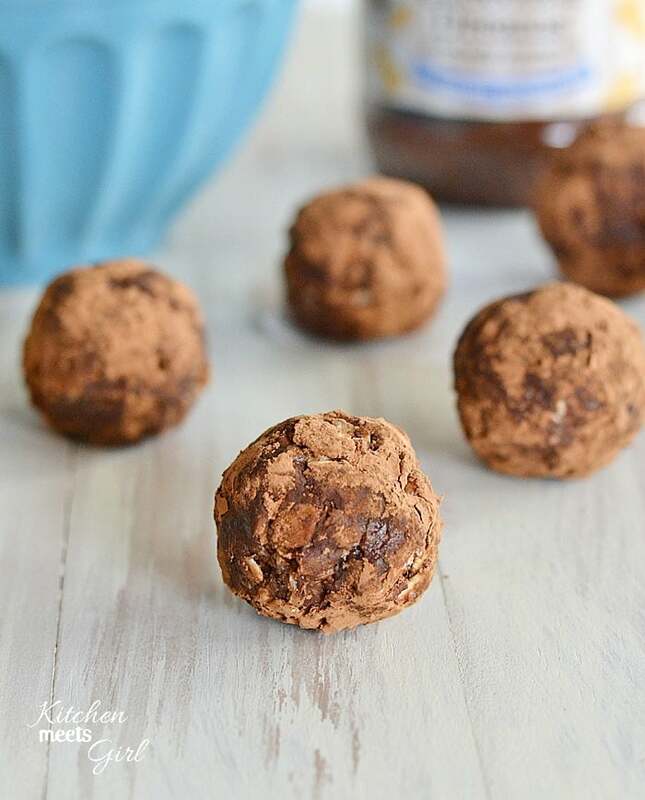 Roll formed balls into cocoa powder if desired.